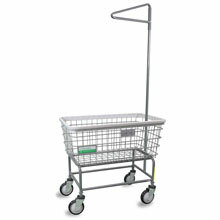 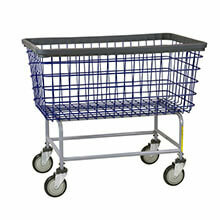 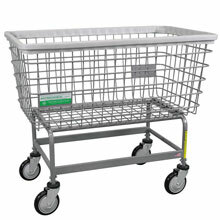 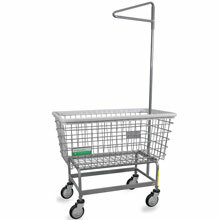 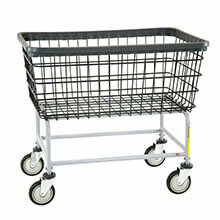 Large Capacity Laundry Cart with Double Pole Rack Perfect for use in hotels/motels and nursing homes. 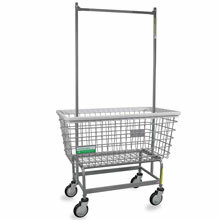 A useful option for hanging and trans-porting garments. Rack plated in chrome or DuraGuard® plastic coated in beige. 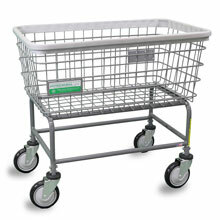 Total unit height is 75" and holds about 4 1/2 bushels.